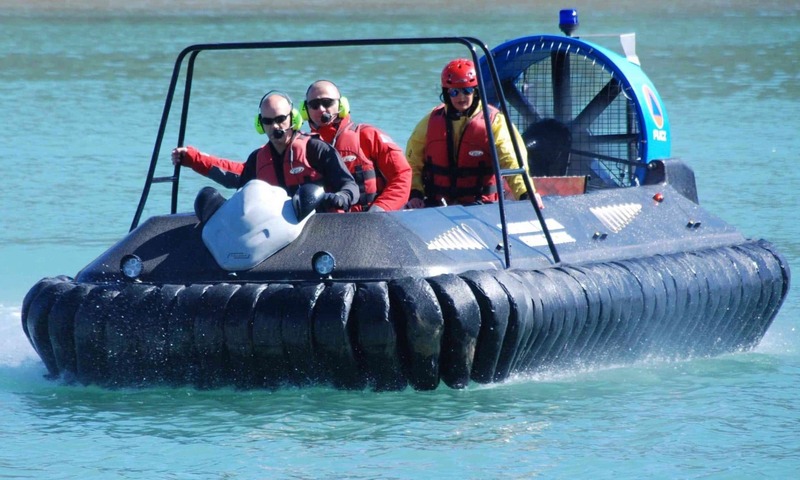 Hovercraft are very versatile craft and the Hov Pod range of hovercraft are ideal for patrol, rescue, commercial and leisure use. We supply hovercraft for military, patrol, search / rescue, fire fighting, commercial and leisure solutions. We also supply a range other products such as drone technology, water filtration systems, mosquito control equipment. If you require a complete solution or you have a problem where hovercraft might help, please get in contact with us. We offer a new generation of safe, high quality, easy to use, strong & durable hovercraft that are affordable to purchase & operate while offering great value for money. Available in a range of sizes and engines with seating for up to 9 people and a wide range of options to suit any application & budget. They have one simple set of controls which can be mastered in minutes & this together with high durability, safety & quality levels incorporated as standard mean that Hov Pod hovercraft are in a class of their own and an ideal craft for any application such as for patrol, rescue, survey or commercial use. Hov Pod are very affordable craft to purchase operate & maintain. Payload for payload a Hov Pod is cheaper to purchase than the single daily operating, staffing & service costs of a helicopter. Skilled pilots are not required and where large areas need to be covered e.g. as borders stretch for many miles over a wide range of surface types & obstructions, several low cost Hov Pod craft allow budgets to be spread over a wider area. This enables more craft to be deployed to patrol or undertake rescue and humanitarian operations through inland & coastal border areas & therefore provide far better coverage & rapid response than helicopters, conventional vehicles or larger far more expensive, less portable & complex hovercraft. Our Hov Pod Hovercraft are available in HDPE (High Density Polyethylene), or Carbon Fibre / Kevlar / HDPE composite hull materials. Hov Pod are known for innovative craft that exploit the latest technological advancements in engineering. The Hov Pod design ethos is to offer hovercraft products that are easy & safe to use, simple to maintain & made from the strongest available hull materials to maximize the crafts lifetime and do away with the need for endless hull and skirt repairs and craft maintenance. World Leading Brand: As seen on TV programs worldwide “How it’s Made”, “World of Wonder” & “How Do They Do That”. Selected by Harrods & described by the press as the “Mercedes Benz” of hovercraft & as supplied amongst others to the Australian EPA, various Harbor Patrol uses, Red Cross, United Nations, Argentinean Coastguard & many rescue, patrol, commercial, port, oil exploration, & survey operators. Many SuperYacht owners have selected the Hov Pod to entertain their guests. Versatility & Applications: Hov Pod are the perfect all in one craft to take on the role of other vehicles for traditional coastal/inland/border patrol. It is also just about the only vehicle suitable for many areas inaccessible to conventional vehicles & can operate over mud, riverbeds, tidal regions, rapids, shingle beaches, open water, grass, sand, swamps, marshland, weeds, submerged plants, snow, desert, ice, roads, shallow lakes & dried up salt marshes. The Hov Pod design ethos is to offer hovercraft products that are easy / safe to use and maintain. We believe that safety and durability take priority over weight saving and speed. Please see our Durability Page for more information. We offer a full range of security and patrol solutions – VTOL, fixed wing and multi rotor drones and other products to meet a wide range of rescue, defense, patrol and commercial operational needs. Our range of products can be combined with our hovercraft or act as standalone solutions. For example, we supply tethered drones with full surveillance capability for search and rescue, night vision technology, drones with heavy payload capability, able to drop vital supplies, during floods and other natural disasters. We also offer robotic drones capable of automatic battery exchange, to significantly extend operation times. Water treatment solutions to reduce disease if drinking water is contaminated by flooding help save lives . We supply hovercraft solutions to combat disease through treatment of mosquito larvae, night vision aids to aid night rescue from water, mud, ice and sand. We deliver hovercraft to support planting of mangrove trees. For further details on these other products please see here. Hov Pod have been used extensively for commercial applications but large passenger craft use for large scale operations across the English channel dwindled out out a few years ago. For more on the history of hovercraft see here and a BBC article here.